Swedish Christmas starts with Julgröt in the morning. 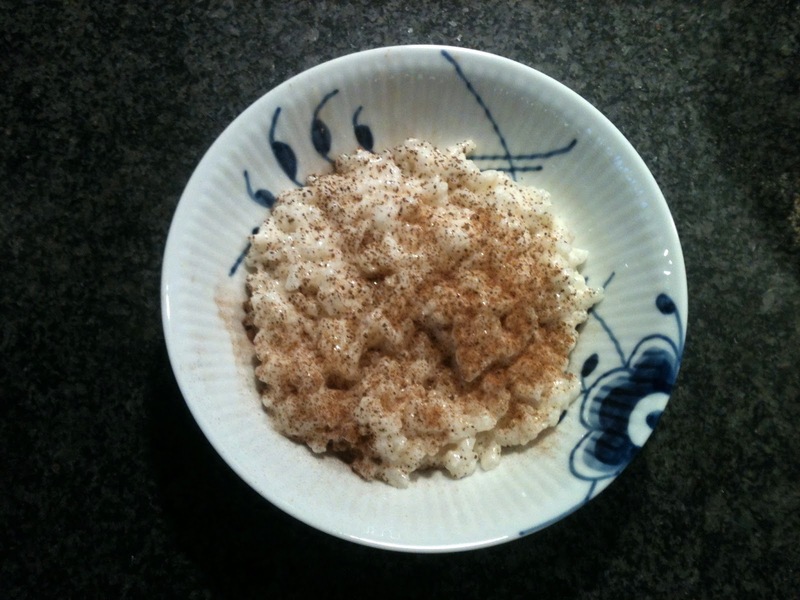 Julgröt, also called risgrynsgröt, is a classical rice pudding made with milk, sugar, and cinnamon. 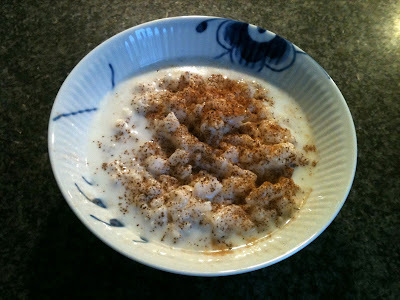 You can eat it cold or warm, with or without milk, but for sure with cinnamon on top. I like to make a lot of it so I can have some every morning and every afternoon before and after Christmas :-) In any case, it's a very easy recipe, and it takes a bit of time to prepare. But for the last 40min of cooking you can also turn off the fire and leave the rice in the pot on its own and do something else in the meanwhile. So it really requires only about 30 min of attention. Bring water, salt, and butter to a boil. Add rice and cinnamon, bring to a boil again and then lower the heat. Let cook for 10 min with lid on. Add milk and bring to a boil again (mid temperature). *Then lower the temperature to the lowest possible and let it cook (lid on) for about 30-40 min. Don't lift the lid at the beginning. Towards the end you can mix a bit with a wooden spoon and add sugar to your taste as well. Serve with some cinnamon on top and some milk as well! *At this point, you could also turn off the heat and leave your rice to cook slowly for about 45 min.